Thanks to everyone who responded to my first couple of emails in a while with a resounding “YES! Keep me on your mailing list. 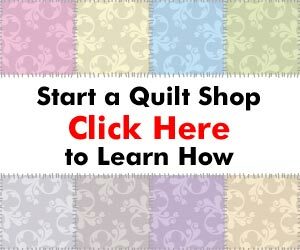 It's great to know there are so many wonderful quilters out there who want me to keep (or really re-start) doing what I'm doing here at the Quilting Business website. And if you haven't participated in the poll yet, there's still time to let me know what you'd like to see on the site over the coming months by going to the poll. As it turns out, one of the more common questions that keeps coming back again and again is about pricing your quilts. With pricing, there are a number of different methods that can be employed, but the bottom line is that you want (really need) to get paid for your time and effort and expertise. A special-made quilt is not an assembly-line product that conforms to simple volume pricing models. Your quilts are more in line with art than with any type of mass-produced widget. In addition, I've added a search function to the website so you can search the past posts for the information you are seeking. There's a lot of good info on the site, so feel free to check it out! I'll be pulling together a Quilt Pricing Calculator spreadsheet over the next day or two so you can plug in some figures and come up with a reasonable price for your quilts! I have hand quilted for hire since 1980. I simply know I am not charging enough. Yet, I am not sure what others around the country are charging for the same service. And, since I have won 6 awards for my hand quilting, how do I incorporate this into pricing? Currently, most of the quilt tops I do amount to around $150.00 with the yardages of thread I use. Thanks for your input. Yes, please keep me on your email list. One subject I am interested in having my own website. as always we fail to get paid just what we are worth. but my attitude over the years has become “take it or leave it!” If they wont pay that’s fine I can devote time to making what i want when i want it. I charge a fair price for my products and quite often am left without many orders per year but integrity wins through as people see that your product is worth more compared to commercially available items. and one of my quilts I know will last 20years + with loving care and a few mud pies to be dragged through and to be everything from a tent to a tropical island I mostly do kids things but love wroking hard and giving my all. Glad you are back on the web site…missed the e-mails with quilting hints. Mary Lou – You should try and figure out how much you are spending on materials and how much time it takes you to finish a quilt top. Then, use some of the tools on this site to develop a pricing model. It may turn out that you are charging too little. Karen – I’ll be working on some website things soon. Keep posted! Jay – I agree with you that you should charge what you are worth and get the highest price possible. And there are some things you can do to help get that higher price by explaining the work that goes into your quilts, talking about the quality of the materials, and letting them know that they are getting a truly unique piece, not some mass-produced piece of junk. Good luck! Joan – Thanks! Appreciate the support. Hey Jay – Getting a fair price is, well, fair. 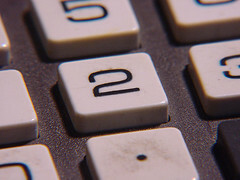 Our job as business owners is to make sure that the potential customers know why we charge what we charge. That means talking about the quality of the work, the uniqueness of the quilt, and a little bit of personality. And great stories work very well in making sure that people know that you’re different than JC Penneys. Hello Mary Lou – I’m going to try and come up with an article based on your question, so watch your email inbox. This is definitely an issue with a lot of quilting businesses, so it’s a great question. Previous post: Poll: What Subjects Interest You Most?